MSI’s X-Slim X360, with the Intel Arrandale ULV processor, comes equipped with the Intel Core i5 processor with Intel’s Turbo Boost and Hyper-Threading technology for excellent processing performance and up to 9 hours of battery life. 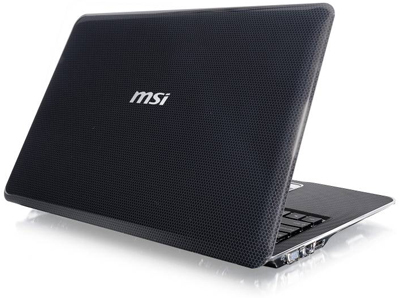 Graced with MSI’s exclusive stylish rhombic pattern, the X360 is the apex in slim computer technology. Taipei–The X360, the latest step in the evolution of MSI’s beautiful X-Slim series of notebooks, comes with the Intel Arrandale ULV processor to provide outstanding performance with a longer-lasting, more environmentally friendly battery. The X360 comes with the Intel Core i5 processor with Intel Turbo Boost and Hyper-Threading technology. The Intel HM55 chipset gives the X360 high-quality audio/video performance and 9 hours of ultra-long battery life. The latest Intel Core i5 processor: The first ultra-slim notebook to utilize Intel’s Arrandale ULV platform, the X-Slim X360 is equipped with the Intel Core i5 processor with Intel Turbo Boost, Hyper-Threading technology, and Intel’s HM55 chipset. The superior audio/video and processing performance enable the X360 to multitask, while ensuring smooth operation for the best performance anytime. 9 hours of battery life: In addition to quality audio/video performance and processing capabilities, MSI’s exclusive ECO power-saving technology allows you to select from among five power management levels—Game, Film, Presentation, Word Processing, and Turbo Battery. In addition, Intel’s Turbo Boost technology automatically adjusts power levels to provide the amount of power needed for various applications, while allocating resources necessary for operations to give the X360 9-hours of battery life. *Actual battery time will differ depending on settings and how the computer is used. Feathered lines: MSI incorporates master craftsmanship, the Color Film Print and rhombic pattern add a touch of sophistication and style. Tipping the scales at a mere 1.4kg and less than 1-inch thin, the X360 is the ultimate blend of fashion and technology. Stylish rhombic pattern: MSI’s own rhombic pattern on the cover, the diamond pattern on the body, and MSI’s exclusive Color Film Print highlight the X360’s unparalleled good taste. 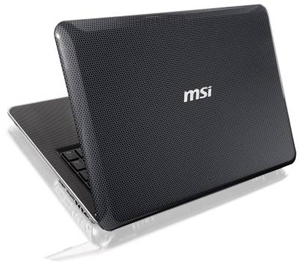 What’s more, the silver trim, chrome-plated power button, LED status indicators, and touchpad edges combine with MSI’s unique Chiclet keyboard to offer a stylish blend of sophistication, style, and minimalism. MSI EasyViewer: The X360 comes equipped with several of MSI’s exclusive software programs to make your laptop smarter and more user friendly. The unique EasyViewer utilizes a 3D image display which allows you to choose zoom in/out, full screen display, or auto play to preview images. Slide mode lets you edit photos, enlarging or reducing them, rotating them gradually or by 90 degrees. HDII image enhancement, intelligent white balance, and image sharpness can by employed to make images richer and enhance contrast and layering. MSI EasyFace: The X360 comes with Easy Face, MSI’s own face identification software, to protect information on your laptop. Simply take several photos of yourself with the X360’s webcam and register them in your laptop, then you can use Easyface Autolocker and Easyface Logon. The easy-to-use, high-end biometric identification system is the best safeguard for personal information on your laptop.